This entry was posted on Monday, November 6th, 2017 at 4:30 am and is filed under business, business as usual, business ethics, corporate culture, crime, gags, greed, Nobel Prize, Wall Street. You can follow any responses to this entry through the RSS 2.0 feed. You can leave a response, or trackback from your own site. Good one! And the GOP is planning another big burglary right now, with their new tax plan. Thanks for the comment, Jo-Ann. 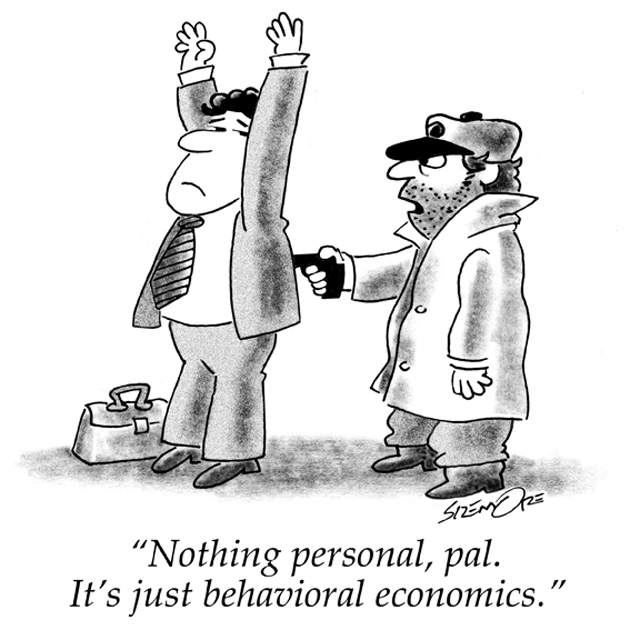 And I also have to thank the guy (winner of the Nobel Prize in economics last week) who gave me the idea for the punchline . . . Very clever–some people blame everything but themselves.